XiOptics 29504 termini are unique in two areas. Their design and its materials of construction. In all cases our products are fully compliant and qualified to the stringent Mil-PRF-29504 specification requirements. XiOptics is the only manufacturer of M29504 termini to have successfully qualified product for use in single mode optical fiber applications. Body Materials: XiOptics uses only precision machined and passivated stainless steel in all metallic components. This ensures compatibility with all connector platforms as well as providing users absolute surety of non-corrosive products. Compression Springs: XiOptics uses only the finest pre-set stainless steel springs. This ensures that the product performs after hundreds of mating cycles exactly as it performed on its first cycle. 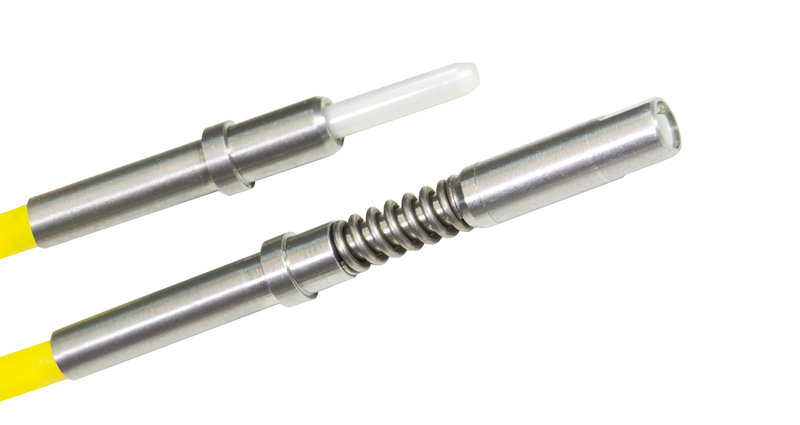 Ceramic Components: XiOptics has partnered with the worlds leading supplier of precision ceramic ferrules. 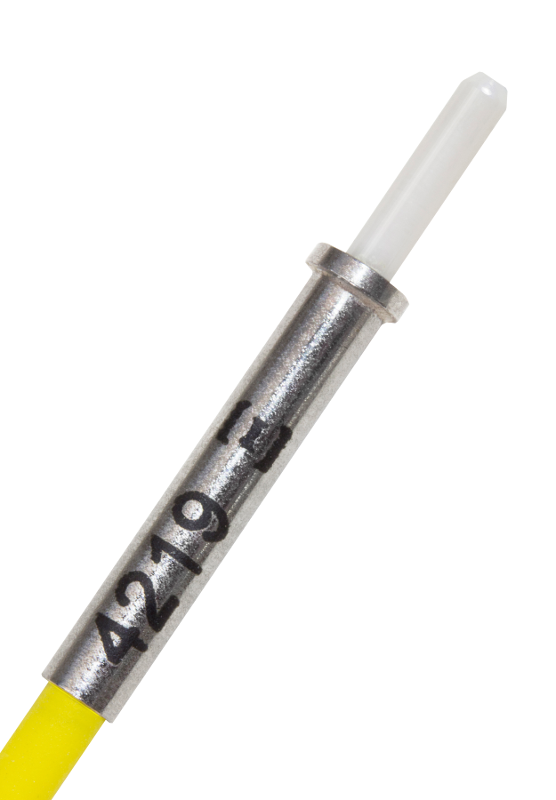 Our ferrules have concentricity and diametric tolerances controlled within a half of a micron (.00002 of an inch) and incorporate manufacturing technologies developed for the high volume ceramics manufactured for the telecommunications industry. XiOptics uses ferrules that are align fibers within the ferrule structure approximately 4 times more accurately than competing designs. This improvement results in insertion loss values that are not only typically lower but also more stable during product lifetimes. Mil-PRF-29504 /4 and /5 termini are offered as fully qualified DLA/DSCC listed QPL Mil-PRF-29504 termini and as lower cost COTS (commercial) versions of the qualified military product for Mil-DTL-38999 connectors. These rugged termini can be placed into any size 16 cavity in any selected Mil-DTL-38999 connector. These termini are offered in both style 1 and style 2 termination options (see below for more details). Mil-PRF-29504 /6 and /7 termini are offered as optical interconnect solutions to customers desiring to utilize optical pathways within the same ARINC 600/404 gang as electrical or RF contacts . These termini can be placed into any size 16 cavity in any ARINC gang insert. XiOptics does make available Style 1 products for those customer who wish to utilize those style products on legacy programs. XiOptics Mil-PRF-29504 qualified optical termini solutions are available for either Mil-C-38999 or ARINC 600/404 connector systems. To read more about the Mil-PRF-29504 specification and connector history, click here.